I bought a lovely new house. It had everything – high celings, lovely gardens and splendid views. My nearest neighbour was not so far away that I felt isolated and yet not so near that I had to see them all the time. You could go so far as to say it was perfect! Moving day came. I must have been so exhausted unpacking I didn’t even notice at the problem at first. I slept well the first few nights. It was on the fourth that things started to change. Bump, bump, bump through the night. It was a little irritating at first but I ignored it and I assumed I could sleep through it but continued on and on. The next morning – after having spent the worst nights sleep of my life – I decided to call in an exterminator. He came around noon, carrying potions and poisons that would kill on known creatures on God’s earth. “I think it’s rats,” I complained. I was a little disgruntled that I hadn’t been warned of it before I moved in. “I’ve been doing this for a long time and I’ve seen all sorts of things. I’ll take a look,” the exterminator said with his moustache twitching. He did his checks. There was a lot of banging and clattering. Finally he emerged wearing thick goggles. The exterminator took his goggles off. “It’s none of those things,” he said. “Ghosts! I knew the house was old. I just didn’t realise how old. He seemed to know what he was talking about so I had to ask him. I don’t know how much the government could do. If the ghosts were lonely maybe they just needed somewhere to go. I started to feel sorry for my ghosts. What if they needed help? “If they are lonely why can’t I just give them a place to stay?” I wondered more to myself. “But what if one goes bad and starts throwing things around and hurts someone?” the exterminator was appalled that I would accommodate the ghosts. The exterminated started gathering his equipment. I ignored the ignorance. I wanted to learn more about my ghosts. I wanted to learn their individual stories that brought them to my home. 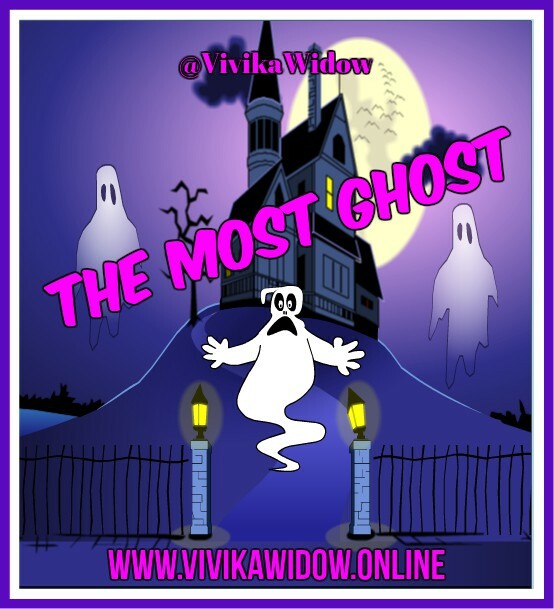 Click HERE to read Vivika Widow’s Myths and Tales collection of short stories and poems!